Commissioned by Salford City Council as part of a 3.5 million pound Heritage Lottery funded project, these pieces were finally installed at the start of this month. The new canal side features where created from water-jet cut 20 mm thick Cor-Ten Steel. Also known as ‘Weathering Steel’ this metal is designed to have a long lasting rusty patina. It was selected for this project for its colour which relates to the canal which is permanently stained an orange colour due to oxide residues seeping into the water from the redundant mine workings it once serviced. 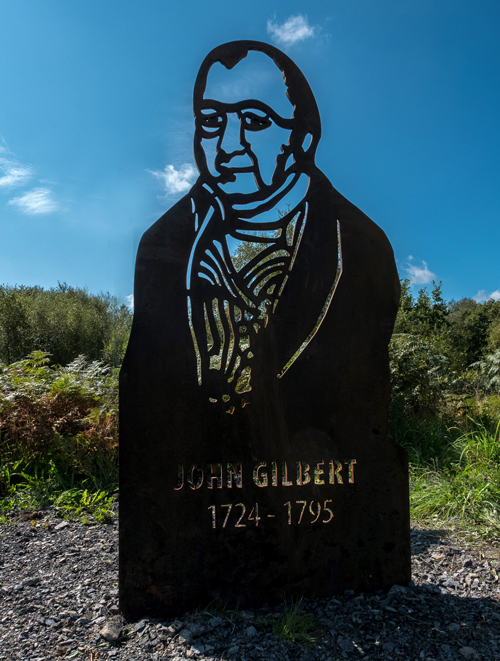 Featured characters include John Gilbert who was land agent and engineer to the Duke of Bridgewater. 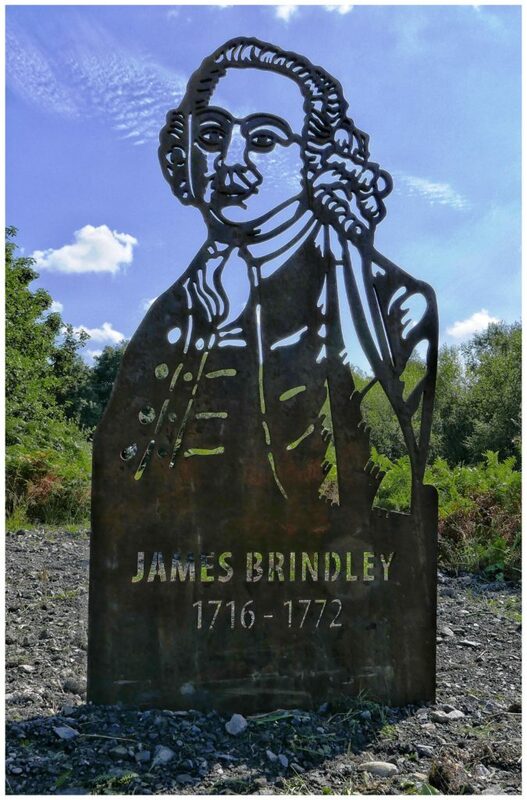 He is often credited with being the driving force behind the building of the Bridgewater Canal. 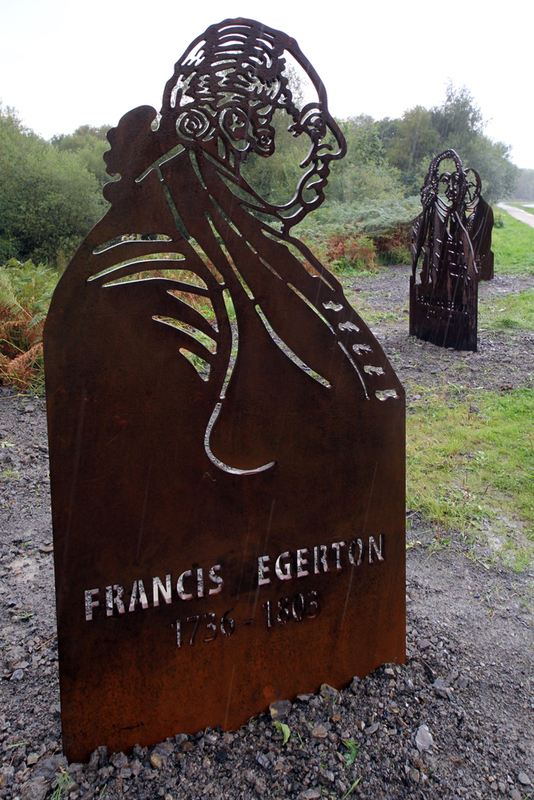 Also featured is Francis Egerton (The Duke of Bridgewater), and James Brindley canal engineer. 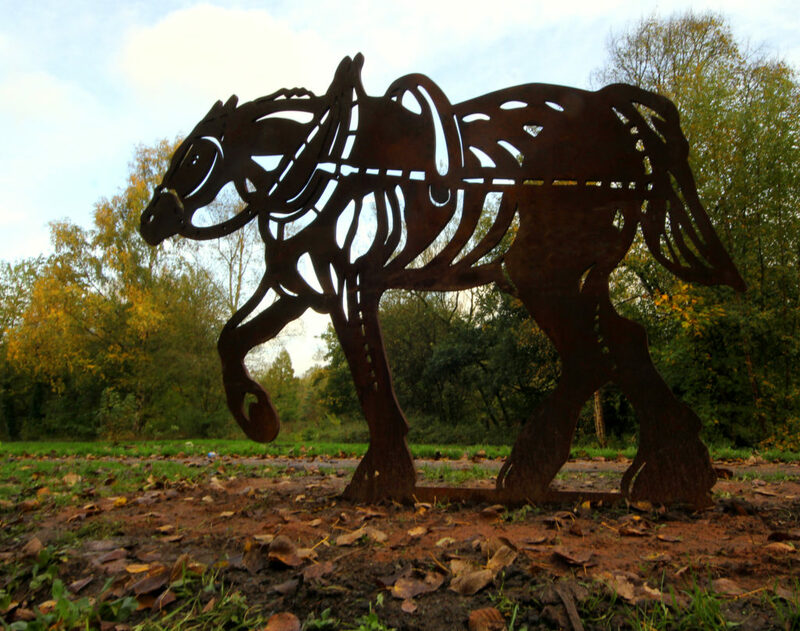 Look out for them along the towpath between Worsley to Boothstown! 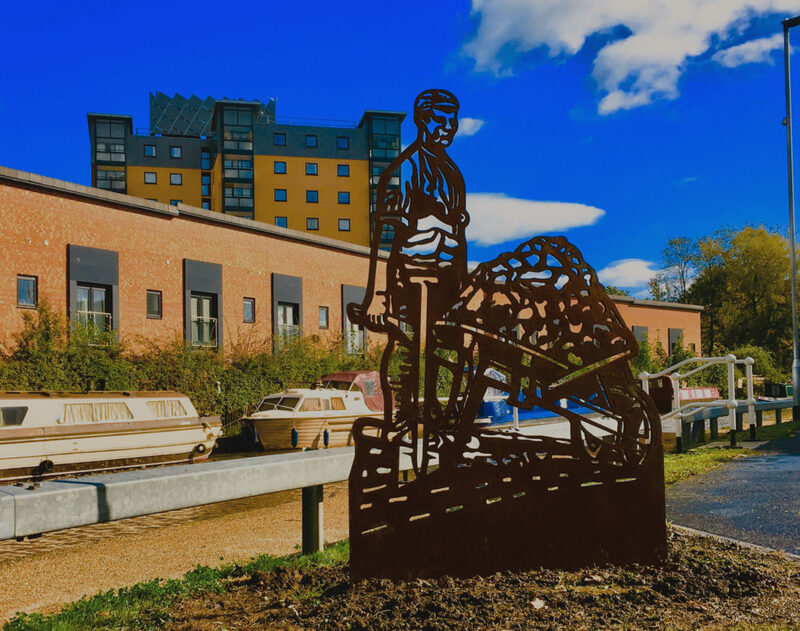 Also, further along the canal you will find a life size navvy man with his wheel barrow and a barge horse.